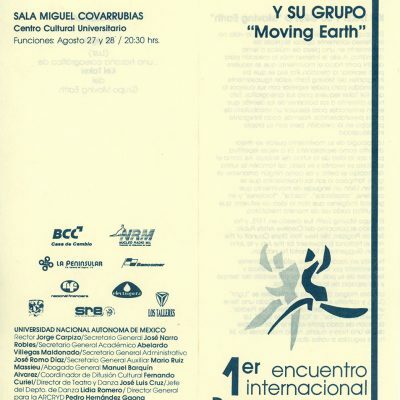 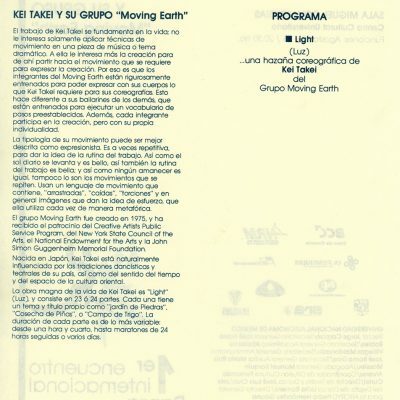 Program of Kei Takei and her group “Moving Earth” with her work “Light” that took place at Sala Miguel Covarrubias of Centro Cultural Universitario, at Universidad Nacional Autónoma de México. 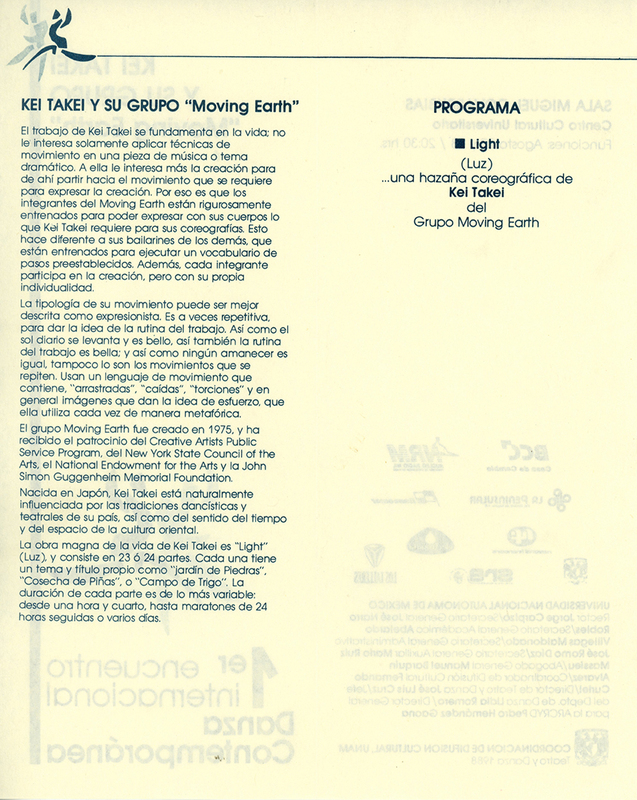 Presented in August 1988 in Mexico. 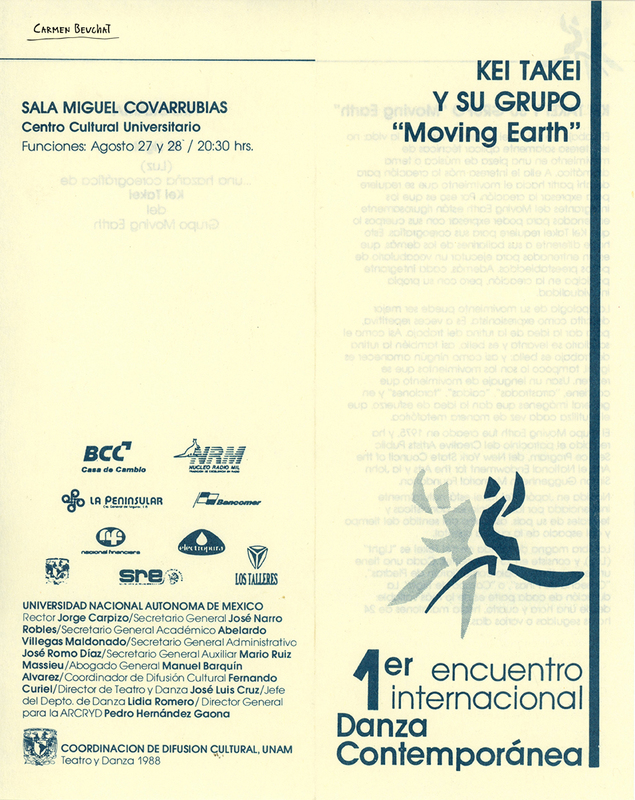 Physical Description: Program 21,3 x 8,6 cm.